The official start to fall is just six weeks away, but who’s counting? OK, we admit it. We are! After a hot and dry July, we’re so ready for the cool and crisp autumn mountain air that we know and love. This post will highlight what to expect when you visit the Asheville, NC, area during the fall season. 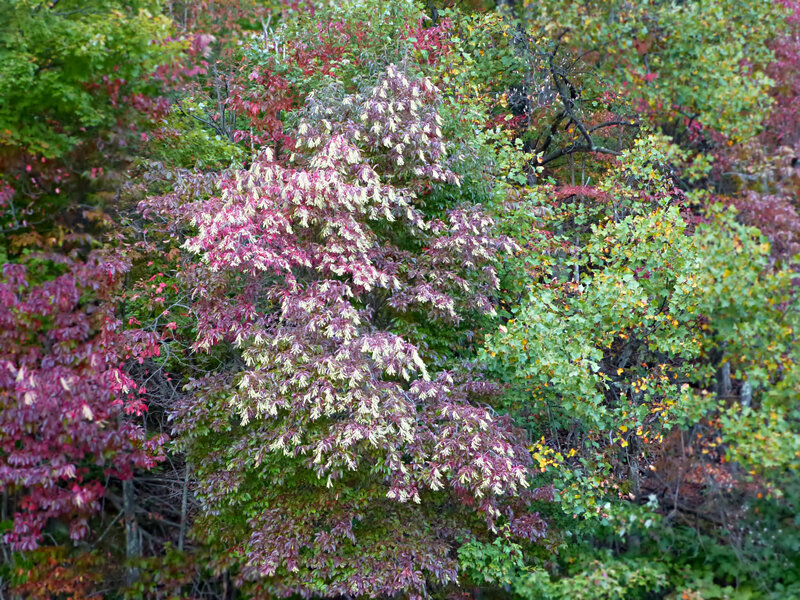 Did you know…western North Carolina has one of the longest and most colorful fall seasons in the entire world? Thanks to a bunch of varying tree species, we see even amounts of red, yellow and orange in several different shades. 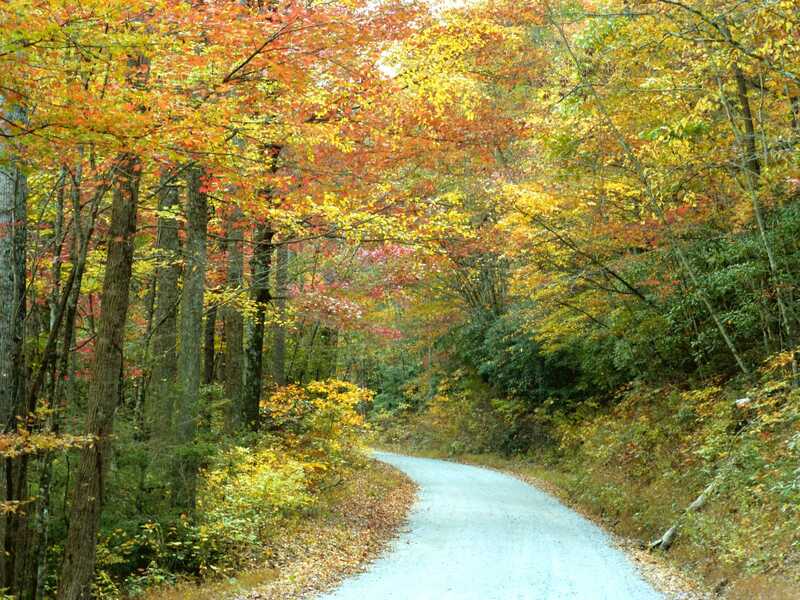 Plus, with varying elevations between 1,500 and 6,700 feet above sea level in the North Carolina Mountains around Asheville, you’ll see color happening somewhere within a 20-mile radius from the end of September to the middle of November. Fall in western North Carolina generally kicks off right on schedule, with the first day of fall this year happening on September 22, 2016. At that time, the whole area will still be very green, but wildflowers make up for that with golden yellow goldenrod, brilliant red cardinal flower and more. Blueberry bushes, forsythia, and other shrubs will be turning and there may even be a sourwood tree or two showing off a scarlet hue. Then as we head into October, elevations higher than 4,500 feet will see serious color changes, as yellows, reds and oranges progress slowly down the mountains. The Blue Ridge Parkway is a great stop during the first two weeks of October. Mt. Mitchell State Park in early October. Mt. Mitchell can be accessed from the Blue Ridge Parkway north of Asheville. 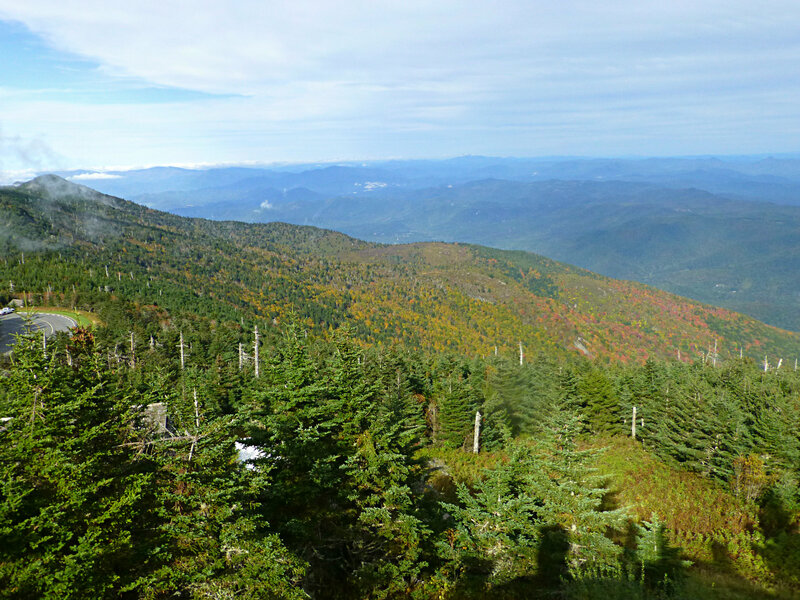 Peak color reaches our elevation in the Asheville and Black Mountain area between October 21 and October 31. Most years, it is closer to the end of the month, but because there are so many tree types, the change is gradual and you will see beautiful color taking over the green landscape at elevations below 3,000 feet during the final two weeks of October. Heading into November, a few late changing tree species, including oaks, will still be providing us with some good color here at 2,300 feet inside Pisgah National Forest, with peak color to be found at places like Chimney Rock State Park, south of the Inn on Mill Creek. Stay tuned…our fall color reports for 2016 begin Tuesday, September 27! Each week, we’ll be sharing with you details on what trees are changing and some of the great spots to see beautiful fall foliage in western North Carolina. This entry was posted in Fall near Asheville and tagged Asheville, Autumn / fall foliage, Black Mountain, Blue Ridge Parkway, fall foliage, outdoors by Inn on Mill Creek. Bookmark the permalink.